Flashback: 'I swear allegiance to the Queen"
W.T. 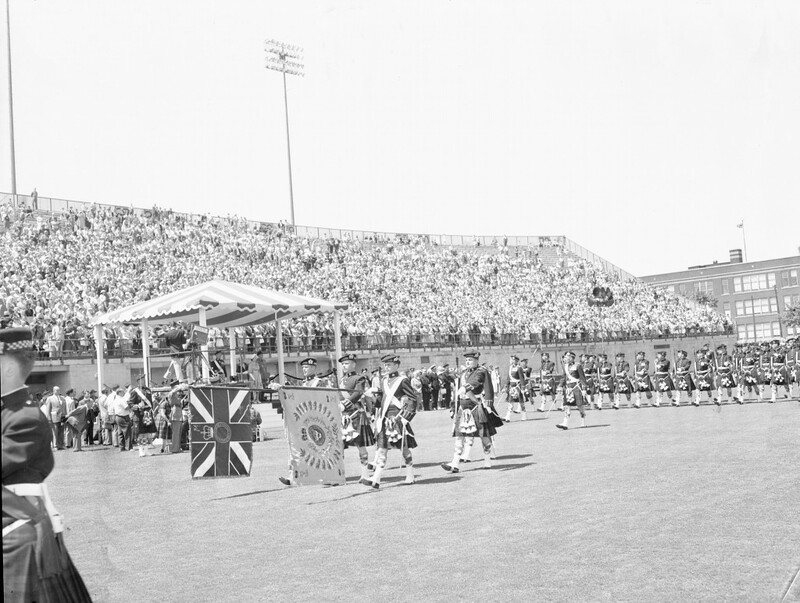 Greenhough of Hamilton drives as Princess Elizabeth and the Duke of Edinburgh circle the city’s stadium in 1951. Hamilton Historical Collection. A Supreme Court of Canada ruling this week means the oath of allegiance to the Queen will stay as a requirement for obtaining Canadian citizenship, despite a legal challenge under the Charter of Rights. Whether to swear an oath would not have been on many minds in the 1950s, though, during her first visits to Hamilton. With MP James McCann in 1951, during her first visit to Canada. She was still a princess then. Hamilton Historical Collection. 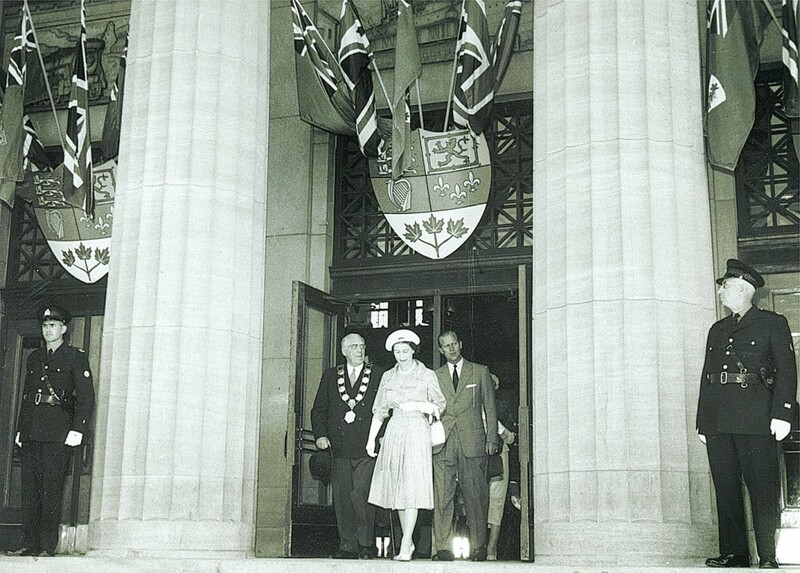 Her first visit to Hamilton was 1951, when Elizabeth was still a princess on her inaugural visit to Canada. She returned in 1959, part of a Canadian tour that included opening the St. Lawrence Seaway. 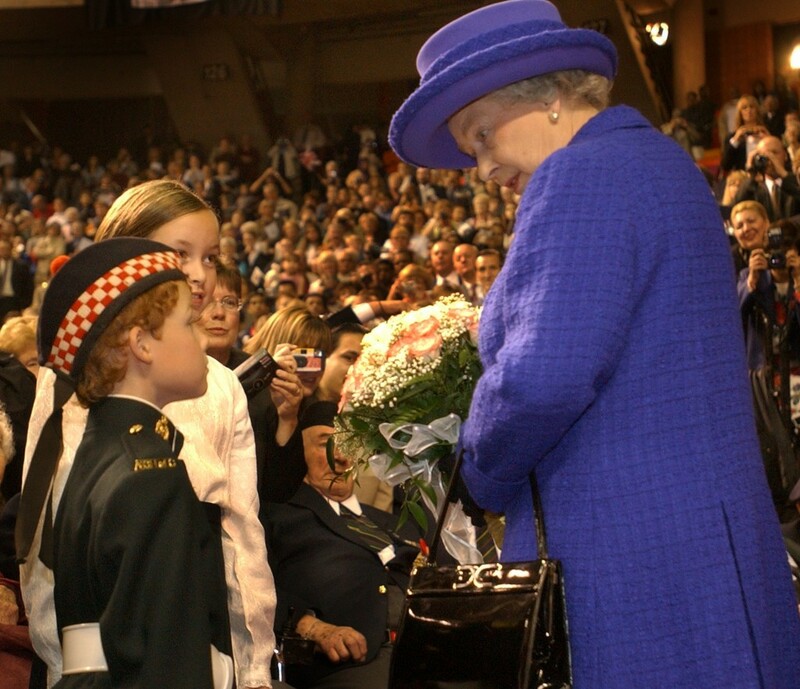 She stopped in Hamilton again in 2002 during her Golden Jubilee tour. Queen Elizabeth reviews the march past of the Argyll and Sutherland Highlanders regimental colours. 1951. 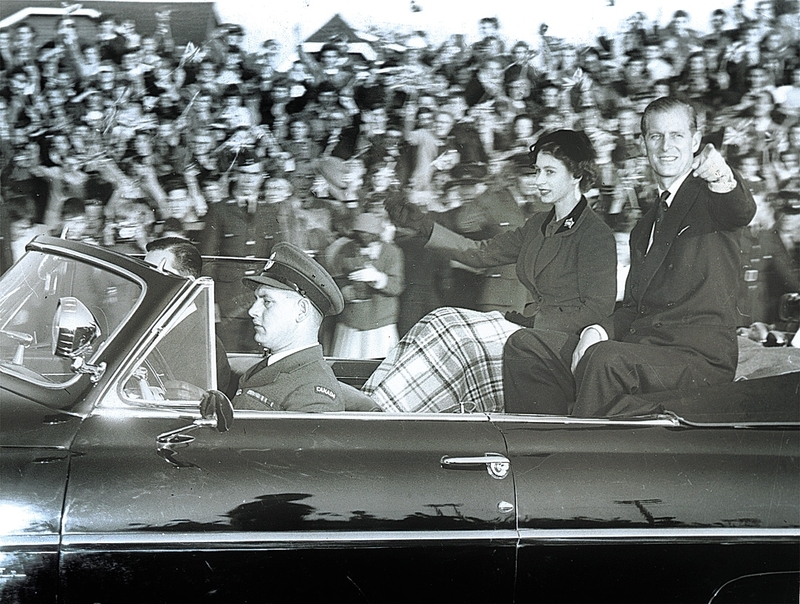 The Queen and Prince Philip visit Hamilton in 1959. The long parade route stretches to Stoney Creek. Spec Archives. 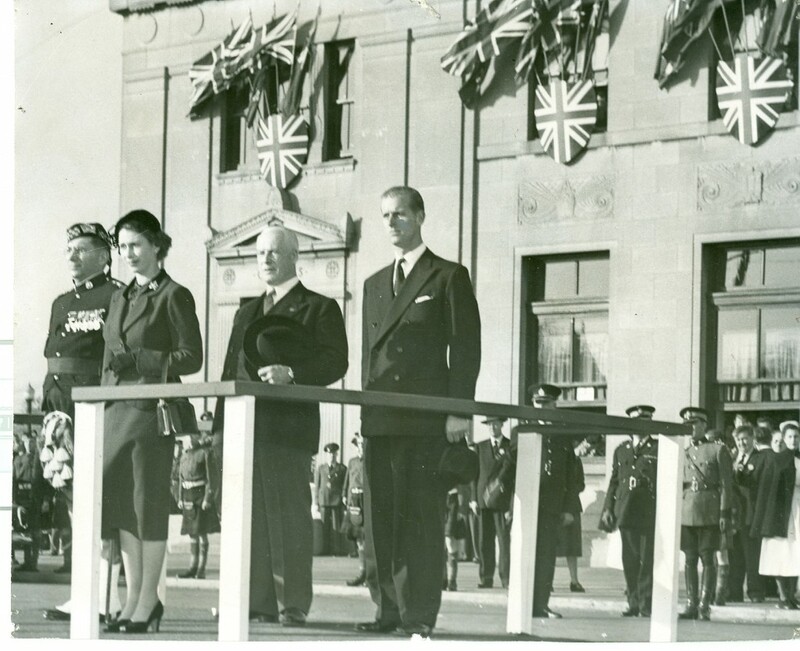 Mayor Lloyd Jackson with the Queen and Prince Philip during the 1959 visit. Spec Archives. 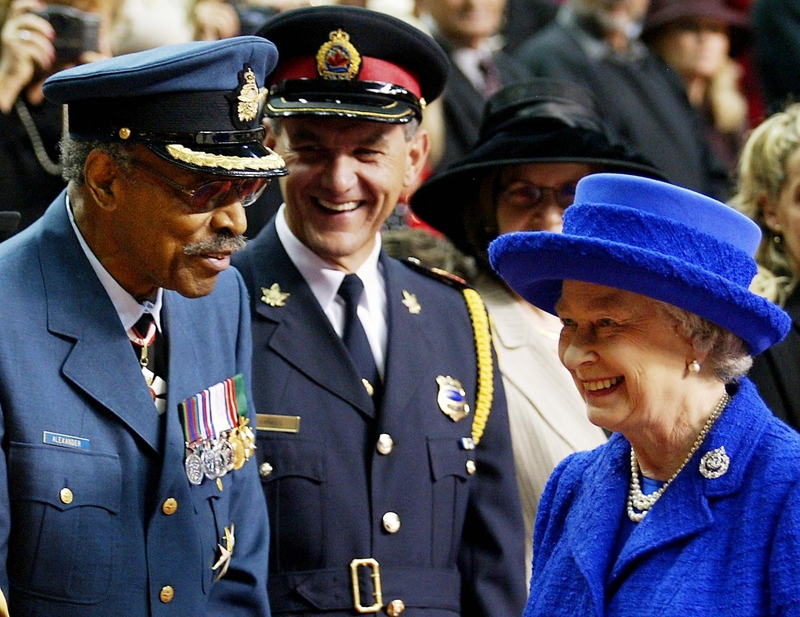 Former Lieutenant Governor Lincoln Alexander shares a moment with the Queen during her Golden Jubilee tour in 2002. Spec Archives. 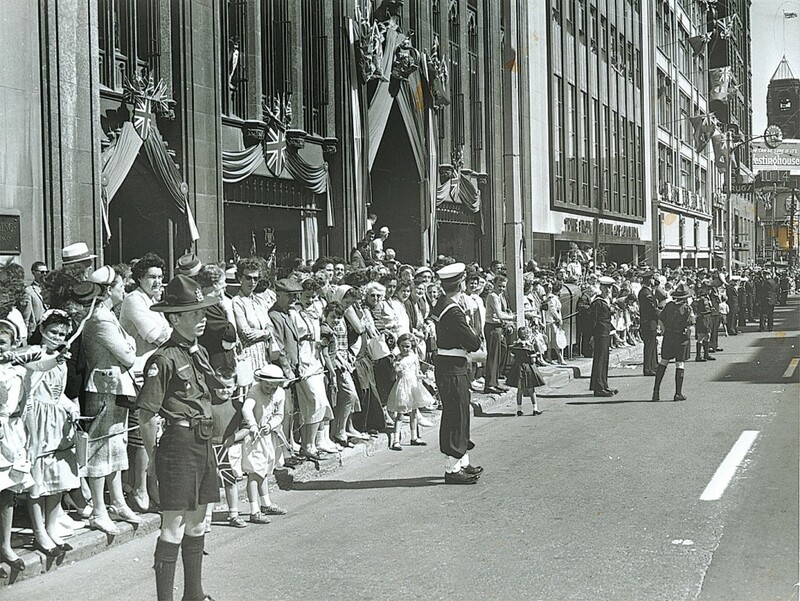  Archived in Flashback and tagged Hamilton Ontario, Queen Elizabeth, Royal Family. Bookmark the permalink.